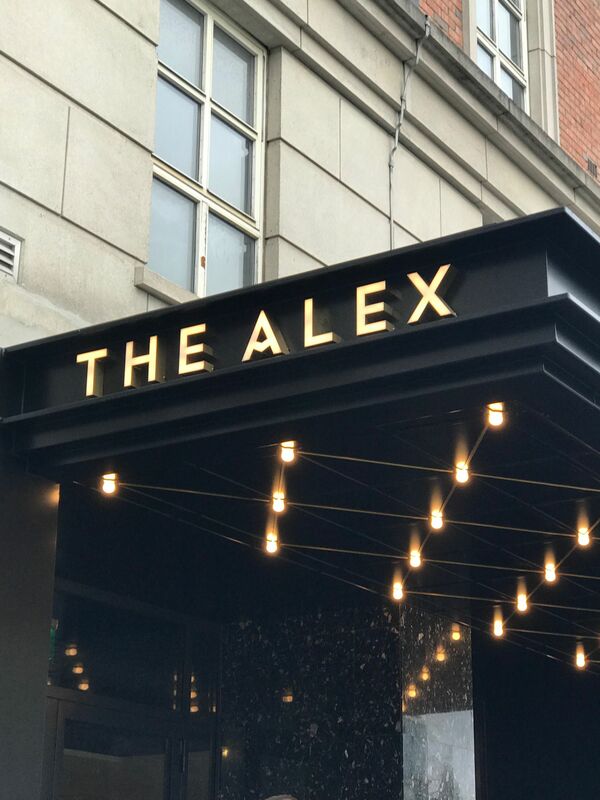 The Alex Hotel Dublin is a four-star property and part of the family owned O’Callaghan hotel group along with its sister hotels the Davenport and the Mont Clare which are all situated In the same Georgian square on opposite sides of the road, they also have the Stephens Green hotel which is also nearby. 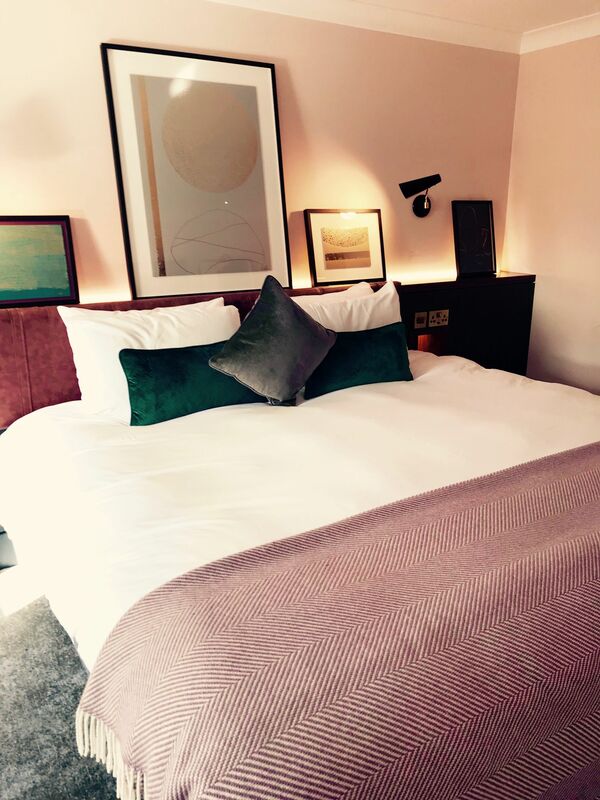 The hotel has recently undergone a complete refurbishment to modernise the hotel and its bedrooms and event spaces which is also being rolled out across the other properties in the chain. 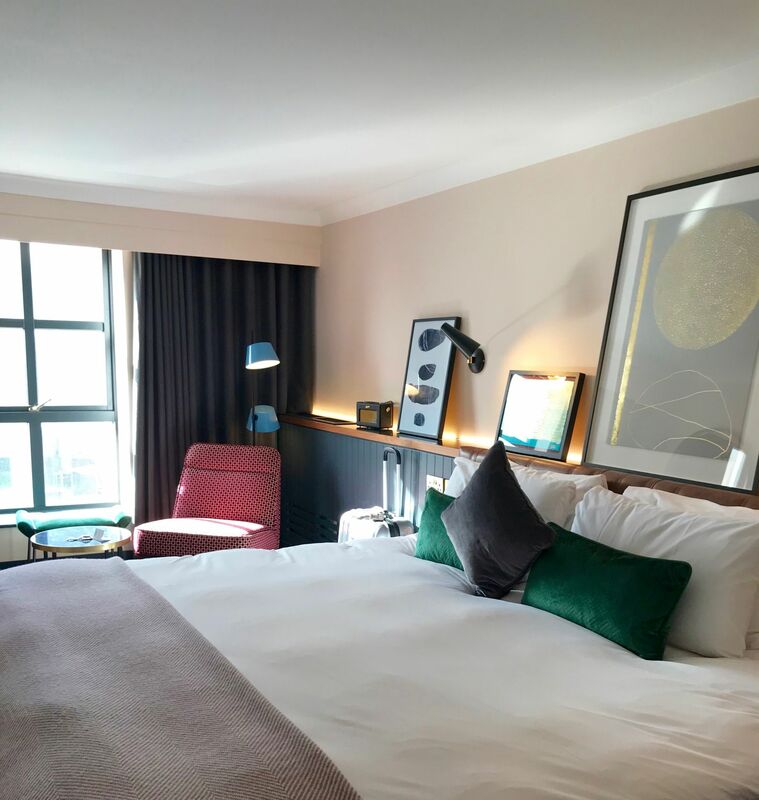 Now nearing the end of the refurbishment, the hotel has a fresh, modern and contemporary feel with retro touches like old style telephones and Roberts Radios in each room along with a new open plan feel to the ground floor where the reception desks and café area are situated. 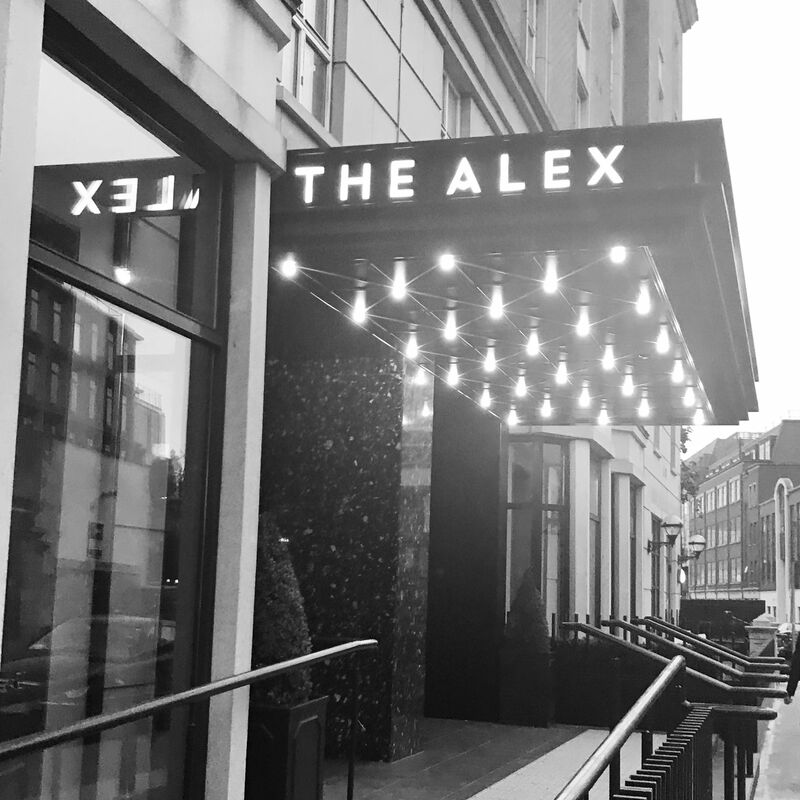 Even the entrance to the hotel has been modernised with a new entrance point featuring marble style steps and a spotlight lit sign above the doors. The bedrooms are very nice too, gone is the traditional pine furniture and checked woollen bed throws that used to adorn the beds and instead in their place are modern and contemporary, minimalist accessories to complement the new colour scheme which is shades of Green and pinks, accents of marble, plush grey carpets, retro desks and hints of dark woods and full-length mirrors – always a winner! 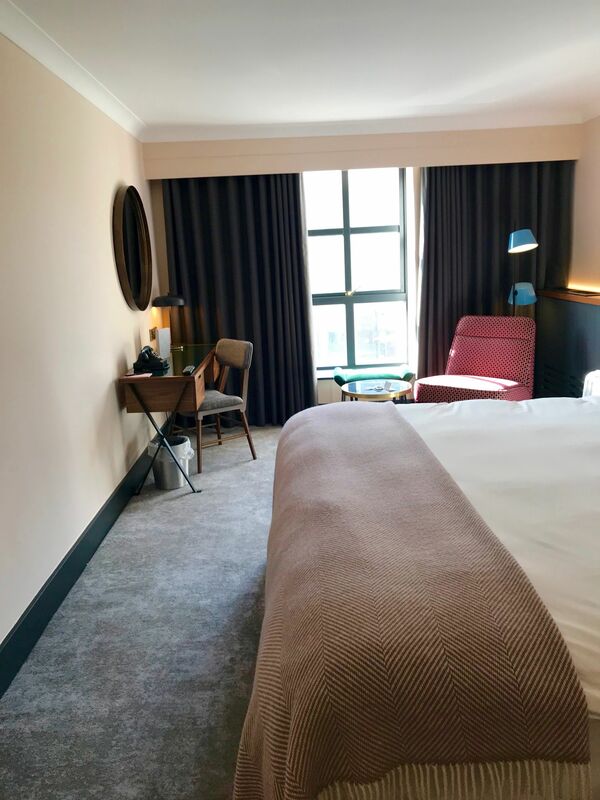 The hotels location is another great plus point and is walking distance to most places in the city centre like Grafton Street, Temple bar, Trinity college and Stephens Green as well as being close by to the Aviva stadium and RDS arena , local attractions like the Guinness storehouse and the Jameson distillery and also business venues such as the Convention centre and the financial and business districts in the city. The transport links are also great with regular bus and Luas services operating nearby as well taxi services and good train and airport links. 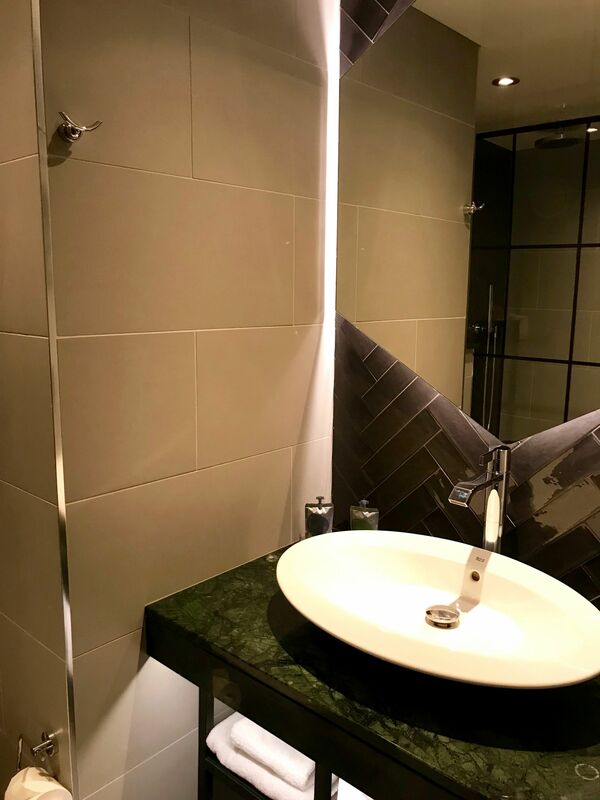 It’s a great hotel with great service and its definitely one of my favourite places to stay when I’m in the city, it also has all the benefits of being in a great city centre location but is also tucked away enough to still enjoy a bit of peace and quiet as well. The hotel has a nice relaxed atmosphere and friendly staff with a nice bar area to sit and have a coffee or a drink and a lovely food menu for lunch or dinner as well as a great breakfast!